Grandmaster Dong’s Martial Arts offers a Beginner Program at the Western Park Community Center in Cedar Point on monday & Wednesday at 4:00 and 5:00. The Cape Carteret Aquatic Center classes are Tuesday and Thursday at 4:00. Add on to your gym membership or after-school program. Our youth program is a point of great pride for us. Raising a child in today's world is not easy, but martial arts training can help. We teach self-discipline, respect for others (especially parents) and encourage academic achievement -- an excellent compliment to a child's education and general development. One of the best extracurricular activities you can choose is the kids karate program with Grandmaster Dong’s Martial Arts. We offer your child the opportunity to enjoy physical fitness in a fun, safe family-friendly atmosphere. 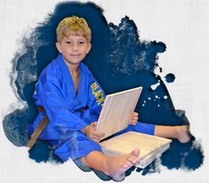 As we teach your child the karate basics of kicking, blocking, punching and striking, we’ll be teaching self-defense skills and reinforcing your child’s self-confidence. Begin today and in a short time, you will see improvements in focus, discipline, confidence, respect and more. When you enroll your child in our kids karate classes, you’re giving your child the best chance to excel in life. We’ll encourage your child to set aggressive goals, stretch their limits and reach for the stars. Along the way, your child will be the recipient of a full suite of benefits that only karate can offer. We hear from parents all the time who tell us that the results they see in their children are outstanding. We’re sure that you, too, will be thrilled with the results when you enroll your child in Dong’s Karate classes for kids. Our Morehead City main location offers more than 30 classes, Monday through Friday, for all experience levels - ages 4 through adult.